Luciano D'Amico is Professor of Business Economics at the Faculty of Communication Sciences at University of Teramo, Italy. Roberto Di Pietra is Professor of International Financial Accounting at University of Siena, Italy. 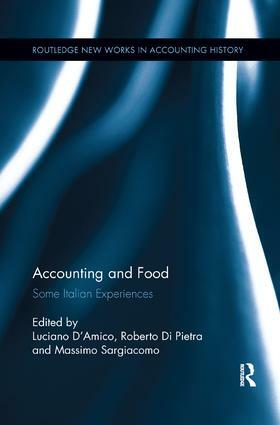 Massimo Sargiacomo is Professor in the Department Of Business Administration, University G.d'Annunzio of Chieti-Pescara, Italy and President of the US Academy of Accounting Historians, and member of several accounting history review boards. He is the chairman of the 2016 World Congress of Accounting Historians.